“…The good that men do is oft interred with their bones…” wrote William Shakespeare in his famous dramatic eulogy for Julius Caesar, made by his friend Mark Anthony, at his funeral in Rome. 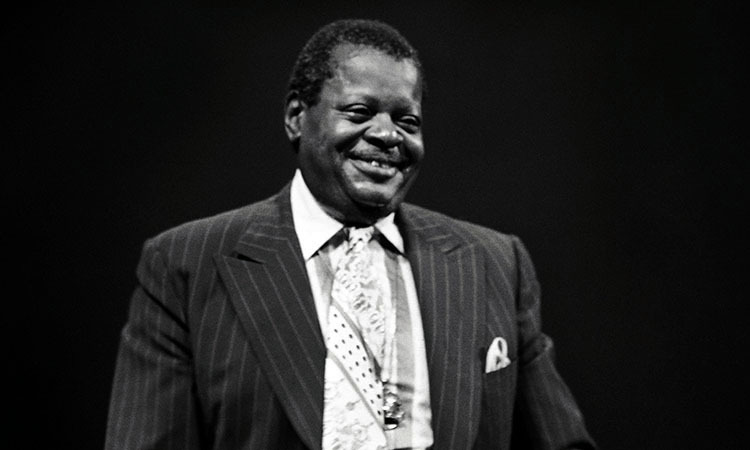 While Caesar was one of the greatest of Roman despots, the same cannot be said of one of the truly great Canadians: Oscar Peterson. However, here’s something that has certainly been interred with his bones: The Canadiana Suite. If it were left unsaid—and to all intents and purposes it has been—this timeless suite would be all-but-forgotten. But not quite. On the 9th of September in the year of Our Lord 2014, this magnificent recording will have been around for fifty years. Why has it passed like a ship in the night while musicians and lovers of music have gazed upon uncharted seas to discover lesser works? Certainly not for want of celebrating Oscar Peterson as one of the greatest musicians to come out of this great country. It is also possible to count on the fingers of both hands the number of times that elements of Canadiana Suite have received airplay in Canada, since its release fifty years ago. 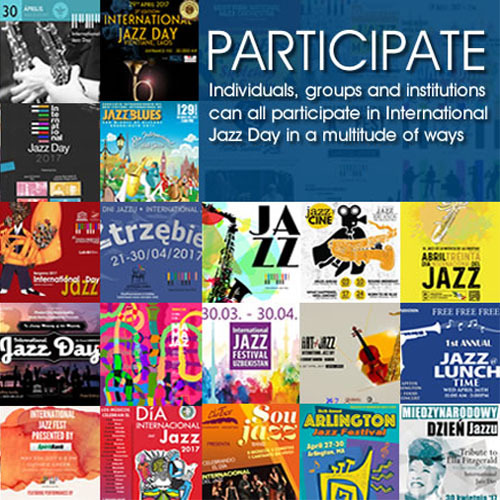 Yet there’s more frequent quibbling about the idiom of jazz and who it belongs to. Ironic then that the music of this fine composition stands as a backdrop to all of this whimsy. Having said that, Oscar Peterson has not been treated too shabbily, except in the days when this country being so insular drove one of its greatest sons to go south of the border for recognition of his genius. Nothing much has changed, however. Although musicians such as Jane Bunnett continue to make this their home, the younger generation of musicians—especially those that Ms. Bunnett brought over from Cuba, percussionist Dafnis Prieto and pianist David Virelles—seem to prefer the Big Apple to Mr. Peterson’s Hogtown. They cannot be blamed for that migration, though. Toronto is Leaf’s Nation despite the fact that the Leafs have not won a Stanley Cup for donkey’s years. So lest we forget, it is time to remember that piece of great music that Mr. Peterson not only called the Canadiana Suite but got two of the finest Americans on their respective instruments to play along with him as a trio. And what a trio it turned out to be. In fact Oscar Peterson blazed new trails with his trios. Mr. Peterson redefined the jazz trio by bringing musicianship of all three members to the highest level. The definitive trio with Ray Brown and Herb Ellis was, in his own words, “the most stimulating” and productive setting for public performances as well as in studio recordings. In the early 1950s, Mr. Peterson began performing with Ray Brown and Charlie Smith as the Oscar Peterson Trio. Shortly afterward the drummer Smith was replaced by guitarist Irving Ashby, formerly of the Nat King Cole Trio. Mr. Ashby, who was a swing guitarist, was soon replaced by Barney Kessel who soon tired of touring after a year, and was succeeded by Herb Ellis. As Mr. Ellis was white, Mr. Peterson’s trios were racially integrated, a controversial move at the time that was fraught with difficulties with segregationist whites and blacks. But that was not the case in Oscar Peterson’s trios. The eight movements of this fabulous work constitute some of the best writing that Oscar Peterson did. What is even more remarkable, Mr. Peterson was never known to be a composer. That he seems to have saved his best for a piece so profound must account for something. Oscar Peterson never wrote with film in mind, but the manner in which the music unfurled gave the music a visual feel of the sweeping grandeur of the country. This is clearly what is at work here as the musical topography of the East Coast—that storm-tossed area of the Maritimes—emerges in “Ballad to the East.” Since the writing of this piece there have been a few films set in the Maritimes and it is not secret that Mr. Peterson’s music inspired sequences of The Shipping News soundtrack. Here Mr. Peterson’s playing is restrained although his trademark lightning-fast arpeggios and dazzling runs do shine through. Still it is his gentleness with which he states the theme and improvised around it is classic melody. The awesome prospect of the Laurentian Mountains is depicted by contrast, by the “Laurentide Waltz,” a fast waltz that as it develops Mr. Peterson throttles up his virtuoso skills. His sketch of the mountains gathers momentum as if the snows are roaring down its slopes in a proverbial avalanche. “Place St. Henri,” that affable area in Quebec that became Mr. Peterson’s hood, is tackled with a lightning fast pace that is divided into 6/4 and 8/4 and revs up with his legendary left hand glisses and phenomenal runs, and when Mr. Peterson takes time off from his dramatic playing to let Ray Brown stretch majestically, followed by Mr. Thigpen’s puckish solo with brushes, listeners are treated to one of the fine reasons why the Oscar Peterson Trio was at the height of its powers even as Herb Ellis departed the group. The Toronto of “Hogtown Blues” will remain one of the greatest charts on the recording. The music here is not merely a classic 32-bar blues, but is packed with Mr. Peterson’s great pianism and the emotion he felt for this city. His showmanship is stripped down almost as to suggest the small clubs and the back alleys where shysters and pimps ruled, but in this ugly beauty a sketch of a great city emerges as the song builds up to its inevitable crescendo and end. The next two sections—“Blues to the Prairies” and “Wheatland” especially the latter suggest the sweeping grandeur of the breadbasket of the country. “Wheatland” is one of the most graphic pieces. Its architecture moves from swaying sheaves to the clatter of harvest and the gravity-defying roar of grain gathered into the great barns of the prairies. Canadiana Suite is not simply a moving image or a series of images that define the awesome landscape of Canada and its people, but also a lovingly rendered audio—visual journey of discovery that every Canadian ought to take, irrespective of how many times this may have been done before because this time it has been led by the “maharajah” of the piano, as Duke Ellington once called Oscar Peterson, clearly not simply for his virtuosity, but also for his phrasing and genuine love for both jazz and the country of his birth. Any Canadian who does not remember Mr. Peterson for that virtuosity that informs his music, his love for Canada and anyone who would forget the Canadiana Suite would be missing something truly special. Track List: Ballad to the East; Laurentide Waltz; Place St. Henri; Hogtown Blues; Blues to the Prairies; Wheatland; March Past; Land of the Misty Giants. Personnel: Oscar Peterson: piano; Ray Brown: bass; Ed Thigpen. As a child, Peterson also studied with Hungarian-born pianist Paul de Marky, a student of István Thomán, who was himself a pupil of Franz Liszt, so his training was predominantly based on classical piano. Meanwhile he was captivated by traditional jazz and learned several ragtime pieces and especially the boogie-woogie. At that time Peterson was called “the Brown Bomber of the Boogie-Woogie”. At the age of nine Peterson played piano with control that impressed professional musicians. For many years his piano studies included four to six hours of practice daily. Only in his later years did he decrease his daily practice to just one or two hours. In 1940, at fourteen years of age, Peterson won the national music competition organized by the Canadian Broadcasting Corporation. After that victory, he dropped out of school and became a professional pianist working for a weekly radio show, and playing at hotels and music halls. Some of the artists who influenced Peterson’s music during the earlier type of years were Teddy Wilson, Nat “King” Cole, James P. Johnson and Art Tatum, to whom many have tried to compare Peterson in later years. One of his first exposures to Tatum’s musical talents came early in his teen years when his father played Art Tatum’s Tiger Rag for him, and Peterson was so intimidated by what he heard that he became disillusioned about his own playing, to the extent of refusing to play the piano at all for several weeks. In his own words, “Tatum scared me to death” and Peterson was “never cocky again” about his mastery at the piano. Tatum was a model for Peterson’s musicianship during the 1940s and 1950s. Tatum and Peterson eventually became good friends, although Peterson was always shy about being compared with Tatum and rarely played the piano in Tatum’s presence. Peterson has also credited his sister Daisy Sweeney— a noted piano teacher in Montreal who also taught several other noted Canadian jazz musicians — with being an important teacher and influence on his career. Under his sister’s tutelage, Peterson expanded into classical piano training and broadened his range while mastering the core classical pianism from scales to preludes and fugues by Johann Sebastian Bach.